The man with the car that made him famous (and brought him down). John Z. DeLorean. Back in the Sixties, John Z. Delorean was one of the greatest men working at General Motors. But, by the middle of the Eighties, that all came to a crashing end in a federal courthouse. Most of us know what happened. But, what about the car he badly wanted to put on the market? The DeLorean DMC-12 is still known by most of the public as a time machine, but its own story is a look back at one of the most famous storylines of all time in the small-manufacturer books. This was a car that was less than the sum of its parts, yet somehow still turns heads today. John DeLorean was, in the 1960s, a big name at GM. He was part of the masterminds behind the Pontiac GTO, a car which spearheaded the muscle car era in 1964. He also oversaw development of the original Firebird and 1969 Grand Prix, another set of Pontiac icons. Later on, he became the head of GM’s North American operations, making over $600K per year. His expertise was doubted by few, as he had worked at Chrysler and Packard before hitting General Motors, and had already made a name for himself all over the industry. But, after GM’s Chevrolet Vega disaster of the 1970s, DeLorean left the company in 1973, to create his own company, the Delorean Motor Company, which would bear his name and the fruits of his downfall. 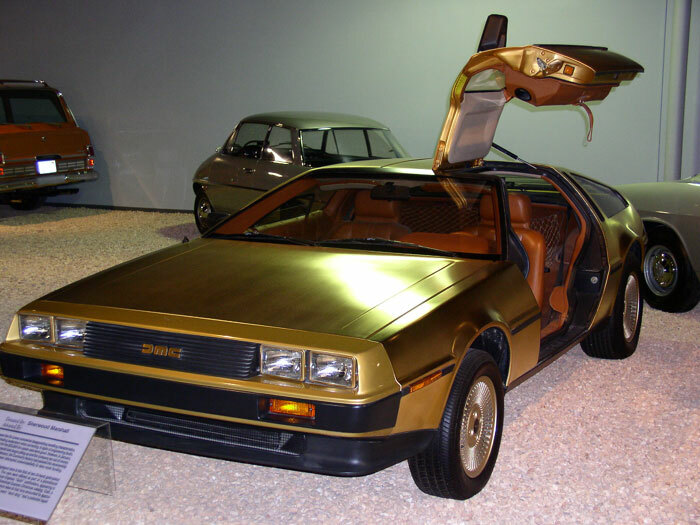 American Express offered a gold-plated DeLorean in their Christmas 1981 catalog. 3 were built (100 were to be built, but that didn't happen), and this one in particular is the only one with the manual transmission. Much has been written about the circumstances surrounding DeLorean’s arrest, trial, and short incarceration, but here, we’re going to focus on just the car. The DMC-12, as it was to be called, was initially a two-seater sports car with a mid-mounted engine and Italian styling. While initially a safety vehicle (in the same vein as the ill-fated Bricklin SV-1), it became an exotic in its design phases. Design work began in 1976, and the huge factory was finished by 1978. 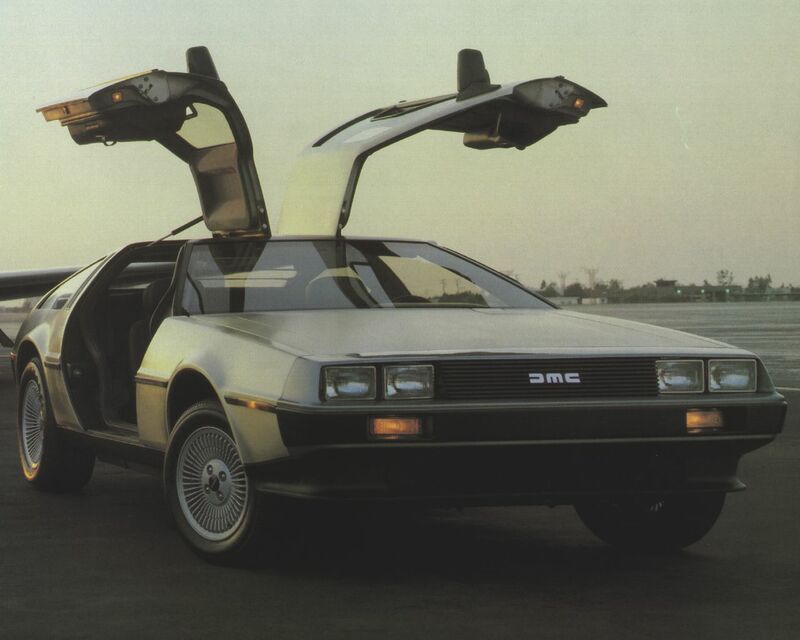 The DeLorean ended up in production starting in 1980 in a factory in Northern Ireland, in Dunmurry. While the engine was sourced from Renault (a PRV 2.8L V6 putting out 180hp), the suspension and chassis design were done by Lotus, and the bodywork by Giugiaro, including a set of distinctive gullwing doors. Another particularly interesting aspect of the DeLorean was its use of stainless steel for the entire bodywork–all DeLoreans looked the same, with a polished stainless finish. While the DeLorean looked great on paper, it was, unfortunately, far less than the sum of its parts. The gas struts to hold up the heavy doors failed, trapping occupants inside (this wasn’t helped by the faulty electrical system). While the stainless steel body did not rust, it was suspectible to tarnish, and any damage required expensive specialist attention to fix. Worse, the conventional steel undercarriage of the car was prone to rot, meaning that a DeLorean could look relatively decent on the surface but be rotted out underneath, requiring yet more expensive repairs. The price ballooned over the development cycle, hurting sales. But, the most famous problem it had was that despite its exotic styling, price tag, and technology, its performance was anything but. DeLorean challenged the Porsche 911 as his benchmark, and by all accounts, he failed miserably. While the DeLorean wasn’t that heavy and had the credentials for its suspension design, its engine and transmission were simply inadequate. The wheezy 2.8L “Douvrin” PRV V6 was a joke, producing all of 130bhp, and was barely capable of moving the car around. In fact, even for its day, the DeLorean was a joke. While the manufacturer 0-60 claim was 8.5 seconds, Road and Track tested one and recorded 10.5 seconds, a huge difference (likely due to USA emissions standards at the time). The top speed was recorded as only about 109mph, far less than the 911 of the same period. To write anything about the DeLorean and forget its role in Back to the Future is a crime. Its role as a time machine rocketed this unloved sales flop into a timeless icon in 1985. While most of the major quality issues were solved by 1982, the end was already nigh. Production problems, worker strikes, and high unemployment in Northern Ireland all contributed to the company’s collapse. The final straw, though, was DeLorean’s arrest for cocaine trafficking in the same year. Despite winning the case, the car was already dead, with less than 9,000 produced. Of course, three years later, the DeLorean would become a superstar in the Back to the Future series of movies, but the car itself was a combination of issues, which brought down an automotive legend. That said, the car lives on, as new models can be ordered from a factory in Texas, and the car’s collector value as an oddball has proliferated over the years, to the point where good examples can fetch $30,000 occasionally. The Delorean was never a particularly great car at all, but its impact and its story make it famous. Just one correction: New models cannot be ordered from the factory in Texas. What they do is take an actual 1981-83 DeLorean, strip it down, and then rebuild it using original or improved parts. All they are doing is restoring an original car. They have to do it this way because they have to reuse the VINs. If they were to create new VINs, the cars would have to pass modern safety and emissions standards. So if you order a car from them, you don’t get a brand new car with zero miles on it. You get a restored 30-year old car with however many miles on the odometer that the donor car had. The title will still say 1981, 82, or 83, depending on the year of the donor. Great article though! I enjoyed it. Jared, thanks so much for the correction, I had no idea. I happen to think it’s great that there are people keeping this design alive to some extent. The deal with the “new” DeLoreans is that the owner of DMC Texas bought the entire Dunmury factory inventory once the company went down. 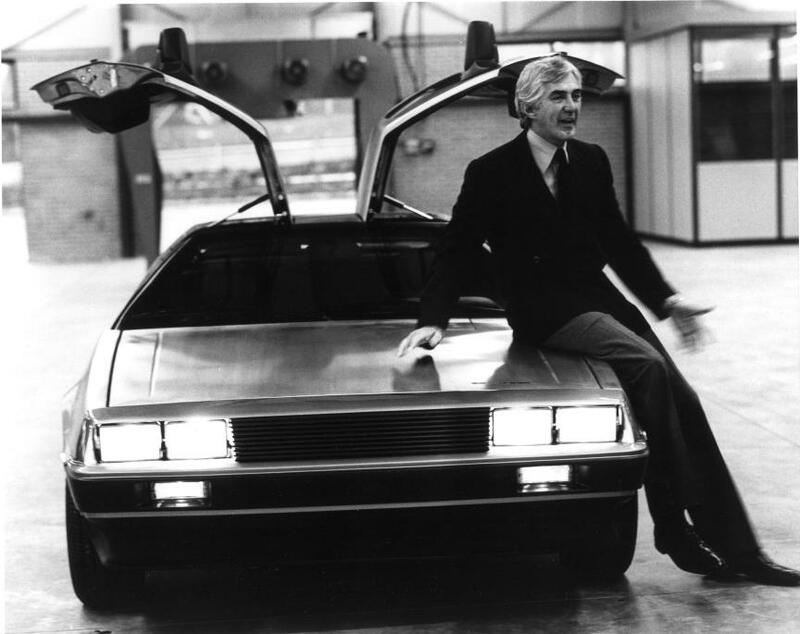 (Remember that John DeLorean wanted to build 30,000 units per year). This means they can assemble zero-miles cars because the parts have been stored (sealed & unused) during 30 years. This means that, in a way, it’s like getting into a time machine to buy a ‘mint’ 1981 DMC-12! While you can buy an used DeLorean and have it refurbished in Texas, they also sell brand-new cars with reworked electrics & mechanics to eliminate the ‘bugs’ that plagued the original design. Just to clarify again, these cars do not have zero miles on the odometer. Since they reuse the VINs, they have to keep the same number of miles on the odometer as the donor car that is used for the new, 30 year old parts. They are not brand new cars that they are selling, but fully restored cars with never-used original parts. There is still roughly 2% of the parts that are not replaced with unused parts, according to sources at http://www.dmctalk.org. they do produce cars with zero miles on it. located in humble texas, today. 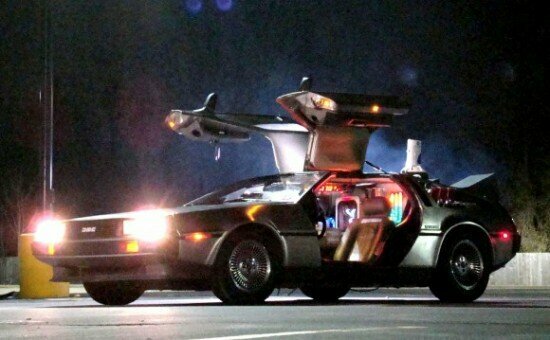 this very year 2013. a 1983 delorean with 0 miles. several hundred were in several stages of production that were brand new. they produce about twenty or so a year. just left from dropping off my 1981, vin 0050. The only way DMC in Houston could sell any DeLorean with zero miles is if the donor car had zero miles. If they were building new cars, they would be titled as 2013 models, not 1983. I repeat: DMC Houston does NOT produce DMC-12’s. They take a donor car (1981-83), strip it down, and reassemble it using new old stock parts for 98% of the car. It is NOT brand new, or else it would have a new VIN and conform to modern safety and emissions standards. Also to note, there were no DMC 12 models with a VIN of 0050. VINs started at 0500 and went up. Prove me wrong.